The Hayward Aqua Rite chlorine generator is a complete solution to turn your swimming pool into a salt water swimming pool. How does it do this? Well, it automatically monitors the chlorine and pH levels of your pool and creates chlorine generated from everyday salt via the process of electrolysis. It’s a self-renewing system that has many advantages over a traditional chlorine pool, which we’ll discuss late in the article. Let’s get started with our guide on the Hayward Aqua Rite chlorine generator. As summer arrives so does spending more time outdoors, soaking up some sun and splashing around in the pool. While a pool is a great way to spend summer time, it also comes with a great deal of upkeep. One of the biggest obligations that pool owners have to face is having to clean the pool periodically. It’s unavoidable. If you want a decent pool to swim in and enjoy all summer long, you must be well prepared with the necessary equipment to keep it looking its best. That’s where pool owners may just be in luck. An Aqua Rite Chlorine Generator offers a better way to keep the water cleaner without the effects that chemical chlorine can sometimes cause. Environmental factors and microorganisms that breed in water can cause a pool to become very unappealing over a short period of time. This is why some form of chlorine solution is used in sanitizing the water so that people can fully enjoy them. A chlorine generator or chlorinator that uses sodium chloride (the common table salt) as the base ingredient, which it generates chlorine from, does so through a process known as electrolysis. The generated chlorine is then dispersed into the water. The dissolved chlorine begins to work by sanitizing the water in the pool so it doesn’t get grimy and nasty. A traditional chlorine system requires manually measuring and adding chlorine chemicals in the pool. This leaves more room for error as there’s the potential of mixing the solutions incorrectly resulting in an unbalanced formula that may not give you the results you want. First, let’s discuss the advantages that a chlorine generator offers for a typical pool owner and what it is exactly. A saltwater pool system, sometimes referred to as a salt chlorinator, is a popular and simpler alternative to the conventional chlorine systems that some use to maintain the water quality in their swimming pool. Safer to use: with a salt water chlorinator, there is no need to worry about properly storing and handling potentially dangerous chemicals. Best of all, these systems don’t leave you with red eyes or itchy skin that are commonly associated with traditional chlorine liquid or tablets. Easy to use: to operate the chlorinator all you need to do is add salt to the pool and use the dial settings on the chlorinator to control the amount of chlorine in the water. It removes any guesswork that is typically associated with figuring how much chlorine needs to be added to the water or if the current amount of chlorine is sufficient. Hassle-free: Aqua Rite Chlorine Generators have an automatic feature that delivers chlorine constantly, keeping it consistent and taking the hassle out of measuring and adding chemical chlorine to the pool each time. Cost-Effective : Over time, a salt generator will prove to offer a better value than a conventional chlorine system. After the initial cost of the unit and getting it set up, the only ongoing costs incurred for maintaining your pool are. Better for the environment : It uses only pure natural salt and recycles it over and over again, thus removing any chances of spillage or contaminating the environment. Not all salt chlorinators are made alike. Some are easier to install than others and some have certain features that are more desirable. The Aqua Rite Chlorine Generators are great in that they require far less maintenance to keep them running than similar machines. They’re also fairly easy to install yourself with a little bit of know-how. The magic of using a salt water generator is because it’s a renewable resource for chlorine — after killing the bacteria, chlorine will revert back to sodium chloride, these chemical reactions will continuously recycle virtually eliminating the need to replenish and add sanitizing chemicals to your swimming pool. Honestly, the only time you may actually need to add more salt to your pool is when water is replenished due to either backwashing, draining, or splashing (not evaporation). Let’s take a look at the options that are available from these Aqua Rite Chlorine Generator reviews. Easy-to-read and understand control panel of the Aqua Rite. All three models of the Aqua Rite system include a control box and its TurboCell — an electrolytic converter that installs on your pool system’s return line, behind the pump, filter and heater. Minimal maintenance. More leisure time. User-friendly monitor system with LED service alerts. Easy to use – one dial adjusts chlorine output. No need for additional plumbing or parts. View or download the MANUAL for the Hayward Aqua Rite. View or download the BROCHURE for the Hayward Aqua Rite. The smallest in-ground pool system in the Aqua Rite range of pool sanitizers by Hayward, this particular system supports a pool capacity of up to 15,000 gallons. It has a chlorine production capacity of 0.53 lbs per day. At the center of the Aqua Rite AQR3 is the patented T-cell-3 that allows for much better efficiency and chlorination rates than other salt cells. It also has additional features including 8 integrated LED indicators and a digital display to monitor salt and chlorine levels. A complete adjustable chlorine output meter allows you to control the percentage of chlorine output from 0-100%. The Salt Display shows the average salt level of the pool water. Also an in-ground pool sanitizer, the T-Cell-9 that is used in the Aqua Rite AQR9 model allows it to produce enough chlorine to sanitize a pool with a maximum capacity of 25,000 gallons of water. That’s a total of 385 lbs of salt chlorine generated throughout the lifespan of the cell. By using an integrated pH and ORP sensor, it can maintain your pool’s chemical balance sufficiently for optimal quality. Once the desired level of chlorine is achieved you can simply turn off the machine. Video | Common questions and answers about the Aqua Rite Chlorine Generator straight from the manufacturer. Yup, this video is from Hayward. Watch and learn. When winter comes you’ll have to make sure that you drain all the water from the pump, filter and supply and return lines. The electrolytic cell and flow detection switch can easily be damaged by freezing water if you don’t follow the manufacturers guidelines as stated above. It’s no different than what would happen if your pipes freeze in your home plumbing. Don’t worry about the electronic controls as they are capable of withstanding any winter weather and don’t need to be removed. The Hayward AQR15 is the largest chlorine generator in the line up. It uses a low concentration of ordinary salt – one teaspoon per gallon of water, to produce enough chlorine for sanitizing a pool the size of about 40,000 gallons. They are independently certified by the National Sanitation Foundation (NSF) and are approved for use in commercial as well as residential pools. This model use the Hayward T-Cell-15, which is included. This salt meter is included when you buy the bundle. *The Extended life cell provides 25% greater total chlorine output over its lifetime than the leading Hayward T-Cell-15. Salt chlorinators provide a great advantage over the conventional chlorine systems that use liquid chemicals or tablets. In addition to less hassle of having to manually mix and prepare solutions, you’ll notice a considerable difference when swimming in a pool that uses a salt chlorine generator. Skin feels much softer and is not left feeling dry, itchy, and uncomfortable. The heart and soul of the Aqua Rite chlorination system. Independent safety certification for use with Hayward salt chlorinators. Works with Hayward Goldline AquaRite, AquaRite Pro, SwimPure Plus and SwimPure Plus with Controls salt chlorination systems, and Hayward AquaPlus, ProLogic and OmniLogic automation systems. Also interfaces with Pentair and Polaris pool automation controls. Independently certified by the National Sanitation Foundation (NSF) and independently certified for safe use with Hayward salt chlorinators and automation systems. Lasts longer than low-cost generic cells. Digital display of salt level and 8 LED status indicators. Hayward had the T-cells independently tested to ensure the data was accurate. Below you will find how much extra chlorine each Hayward T-Cell will produce over their lifetime. View or download the SELL SHEET for the TurboCells. Among the different brands and models that are available in salt water pool systems, Hayward is by far one of the best. Here are some additional tips on features and qualities to look for in a good chlorine generator for pool owners in the market for something new. Power Supply Controls – Look for a salt chlorinator that allows a 1% incremental control when adjusting the chlorine output levels. This allows for a much finer tuning of the salt chlorine system as compared to the 20% incremental controls that others have to offer. Warning Lights/Indicators – A good salt chlorinator that indicates any problems that arise while operating is a must to prolong the life of the machine. Other than a flashing light, chlorinators also use error codes or digital displays to let the user know of any issues. 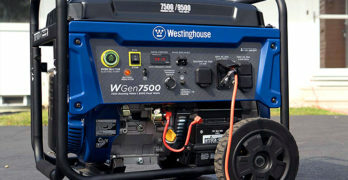 Common problems such as salt levels that are too high, a problem with the power supply or damage to the generator’s components are just some examples that can signal the warning indicator so that the problem can be fixed. You really should have a water chemistry kit to maintain a healthy pool. Self-Cleaning – If you live in an area where the water contains high levels of calcium, you should go for a chlorine generator that has the capability of self-cleaning. Display – Go for one that displays the salt levels. This allows you to replenish the salt on short notice and as and when required. Cold Temperature Limits – A chlorine generator that has higher cold temperature limits will help you prevent growth of algae, in case you experience unseasonably cold weather at times. A pool that is properly maintained can be pleasantly inviting on a hot summer afternoon. Keep these tips in mind when shopping around to find the best quality for your money. If you have an above-ground swimming pool then you’ll want the AquaTrol. Designed for pools up to 18,000 gallons. Built in timer ensures that that proper daily filtration & sanitization occurs. The AquaTrol is engineered to purify and sanitize above-ground swimming pools up to 18,000 gallons (67,500 liters). The amount of chlorination needed to sanitize a pool will vary depending on several factors, such as: Bather load, rainfall, temperature, and the pool’s cleanliness. RJ model: “Straight blade” 120V/15A linecord/receptacle; adapters for return jet mounting. “Twist lock” 120V/20A linecord/receptacle; adapters for return jet mounting. The Aqua Trol is available with a variety of options, as you can see above. Make sure you choose the correct model for your pool configuration. HP Model: Cell may be connected with 1½”- 1¼” flexible hose or to 2″ rigid PVC pipe. RJ Model: May be mounted directly to the pool return jet. TL Model: Similarly, the electrical connections may be made via 120V/15A “straight blade” linecord and receptacle (standard Aqua Trol version, no option designation) or may be made via a 120V/20A “twist lock” linecord and receptacle. Healthy Water: Soft and silky on your skin. Creates crystal clear water that won’t give you red eyes or dry skin. Digital salt level display with 7 diagnostic indicators for real-time data. Designed with a super chlorinate function for ultra-sanitizing. 24 Hour timer for filter pump control. Allows multiple pump periods per day. Programs in 15 minute increments. Automatically cleans the T-cell by reversing polarity periodically. Patented TurboCell for optimal efficiency and flow rate. View or download the MANUAL for the Hayward AquaTrol. The AquaTrol is contained in a rain-proof enclosure suitable for mounting outdoors. The control must be mounted a minimum of 5 feet (2 meters) horizontal distance (or more if local codes demand it) from the pool. The AquaTrol control box is designed to mount vertically on a flat surface. The enclosure is designed to act as a heat sink (dispersing heat outward from the enclosure), so it’s important that you don’t block the four sides of the control. Leave as much space as possible to prevent heat build-up. Never mount the AquaTrol in a panel or a tight enclosed area.